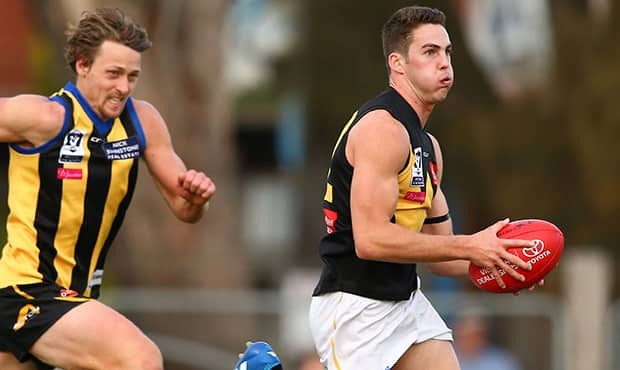 While he was recruited as a hard-running midfielder, Declan Mountford has taken on additional responsibilities in his maiden season playing for VFL affiliate Werribee. 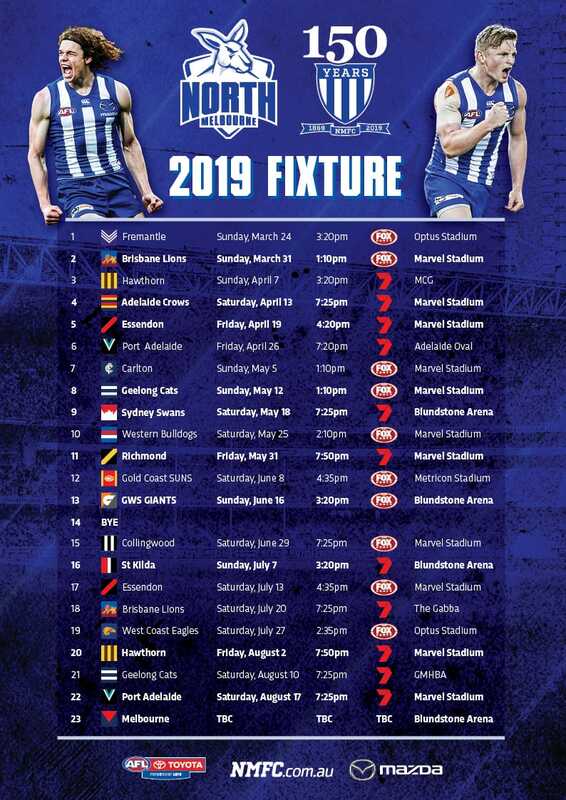 The 19-year-old has spent time on the wing, up forward and was last month handed a tagging job for the first time in his career, matching up on Geelong midfielder George Horlin-Smith. He then performed successful lock-down roles on North Ballarat's Nick Rippon, Carlton's Jason Tutt and Hawthorn's Billy Hartung in successive weeks, garnering praise from the development coaches. Mountford said each of those established players had different attributes and running patterns, making no one set task ever the same. "I never saw myself coming in as a tagger," Mountford told NMFC.com.au. "This role has been pretty challenging but good at the same time because you get to play on the best player from their team every week in a variety of different positions, inside and outside. "Horlin-Smith was predominantly inside and a bigger body, the week after was Rippon, who had a bit of both to his game, but then it completely contrasted with Tutt, who was just all outside (run), so it tests you in every way … and Hartung was also a real good runner." Mountford has impressed in his first year at the club, so much so he has been named as an emergency on several occasions. Although Werribee will not play finals, the youngster still has a fortnight to keep himself in the mix for an AFL debut in 2016. "I want to get the most out of myself in the last two games and keep working on the stuff I've been working on," Mountford said. "Hopefully I can take some of the things I've learnt from the last few weeks with the run-with role and put it into my game these next two weeks." Mountford is your typical hardworking country kid, spending his early years waking at the break of dawn to complete his daily morning chores. The 181cm ball-winner grew up in the town of Manypeaks in remote Western Australia – about 450km south-east of Perth – on the family-owned sheep and cattle farm run by his father Ray. His world suddenly changed when North read out his name at pick No.60 in last year's national draft. "It was a massive blur. I was actually working on the farm the day of the draft helping Dad out and it took my mind off it," Mountford recalled. "That afternoon, I got called out and before I knew, I was on the phone to all people from here who I know now but didn't know at the time. "The next day, we drove to Perth which is a four-and-a-half to five-hour drive. The day after that I was in Melbourne (and) the day after that I was in Utah (for North's pre-season training camp)." Of all the Roos' 2015 draftees, Mountford had the biggest challenge to overcome, but the traits and attention to detail he developed on the farm extend well into his football. The teen's transition to North was made somewhat easier by the fact that he spent last year in the city playing with the Claremont Colts and living at a residential college while studying at university. "It's a lot different to Perth but I got good practice last year," Mountford said. "So in terms of getting a handle on all that, it's been a bit difficult but I've adjusted well to it."